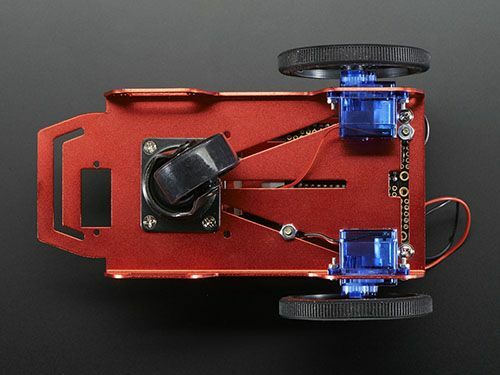 Mini Robot Mobile Platform uses 2 DC motor gear box to drive. The spec the same as FS90R - - High speed up to 100RPM, 1.3kg.cm at 800mA. 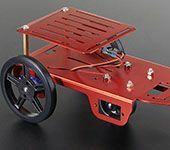 Two plastic wheels are press-fit onto DC motor gear box output gear shaft, and easy to make a nice drive solution for small robots. The wheels have silicone tires and measure 60mm (2.36″) in diameter. Can upgrade to 4WD version. 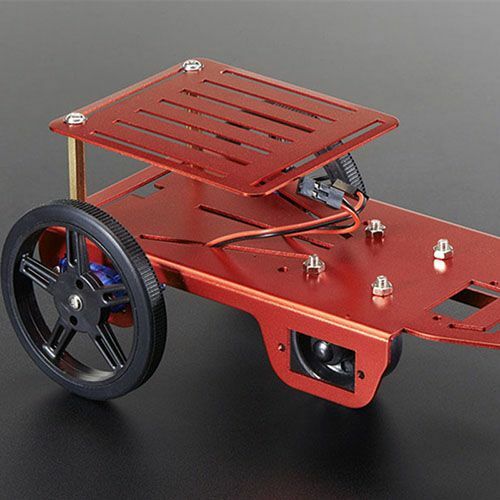 This Mini Robot Mobile Platform frame make with 5051 aluminum alloy and anodize color (The factory default is red. Can do other color if need. ). 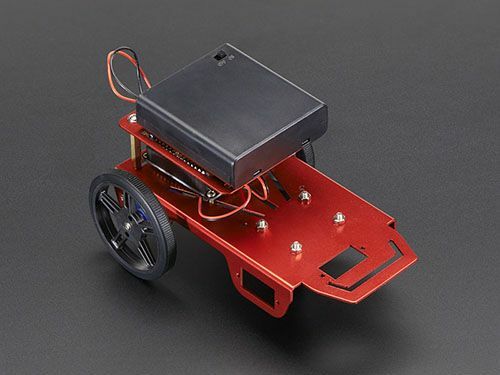 Mini Robot Mobile Platform can compatible with Arduino controller. 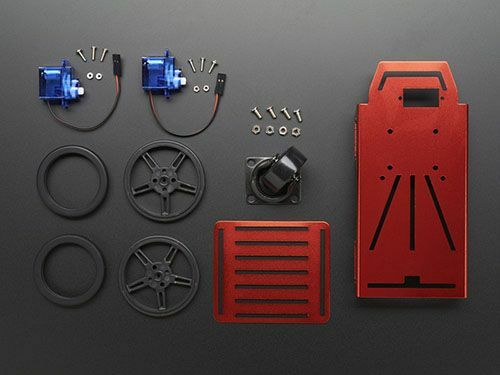 Easy to add all kinds of sensor and let it to work at your idea. This is a good start kit for student.